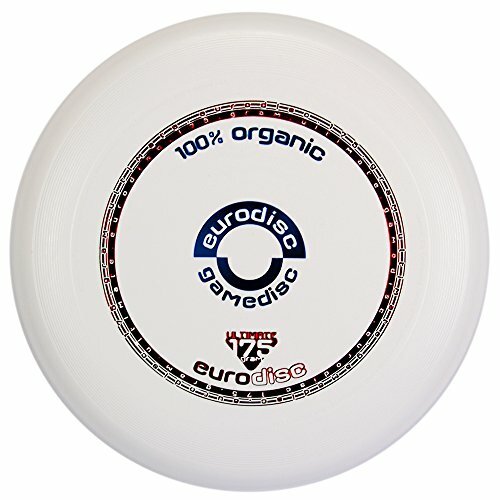 Eurodisc is the latest high quality Ultimate competition disc for Ultimate competition and leisuretime Frisbeesport. It´s approved by the German Frisbee Federation and USA Ultimate. The plastic is NOW 100% made of RENEWABLE RESOURCES. Without oil and not plastic smelling!! Play Ultimate now environment friendly. It´s especially grippy in wet playing conditions. ATTENTION: YOU CAN´T EAT THIS DISC!! If you have any questions about this product by Eurodisc, contact us by completing and submitting the form below. If you are looking for a specif part number, please include it with your message.